"I want to take you all home, I want to give you a kiss, I want to make dinner for you, and I just want to say thank you from the people of this area for coming down and this town has not been this happy since ... I don't know," Diamond told the crews before his performance. "I've been here for 20 years and you've made everybody happier. The heaviness on our hearts is gone and we know the cavalry is here and we say thank you to each of you for making this trip." The "Sweet Caroline" singer lives in the Basalt, Colorado, area, where the fire is still burning, after it started July 3. "We're gonna thank everyone for saving our community," Diamond's wife, Katie, said before he launched into a version of his most famous song. The crowd, of course, sang along. 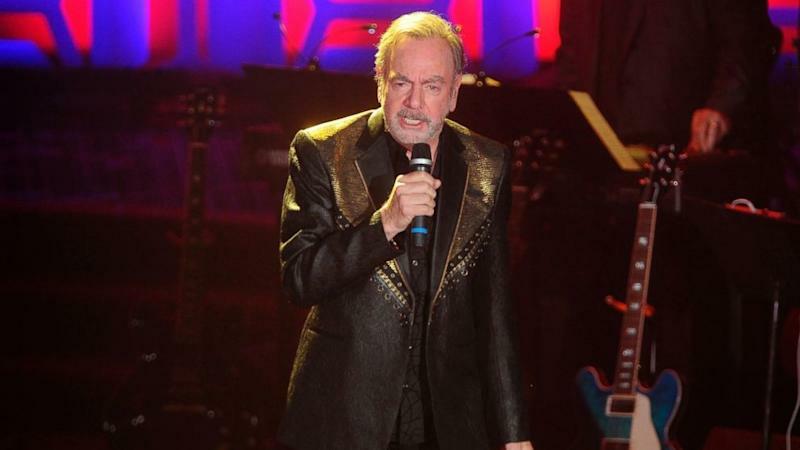 Diamond, 77, announced he was retiring from touring in January after he was diagnosed with Parkinson's disease. He's a member of both the Songwriters Hall of Fame and Rock and Roll Hall of Fame. He's had 22 albums go platinum (1 million sales) in the U.S., including live and greatest hits records.